Pisa is home to one of Italy's most famous attractions, the Leaning Tower, yet it is also celebrated for its outstanding university, proud maritime heritage, and its status as the birthplace of Galileo Galilei, the world's greatest astronomer. Other notable sites are the strikingly beautiful square Campo dei Miracoli;the Museo dell'Opera del Duomo. Located in western Tuscany, Pisa is a city steeped in history packed full of historical landmarks and home to the world famous Leaning Tower of Pisa. With its many beautiful churches, palaces, museums and art galleries to visit, Pisa also offers fantastic cuisine with some superb cafes and restaurants and some of the most interesting shopping in Italy. 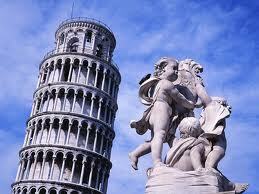 For direct flights to Pisa, Italy check out flights with British Airways. Low cost flights are available direct from the UK with Ryanair and easyJet. Head straight to Pisa’s Campo dei Miracoli, a large green area where you will find the city’s marble cathedral, the famous leaning tower and the beautiful Baptistery. First constructed in 1174 the Leaning Tower of Pisa is the cathedral’s bell Tower and gained its name from its tilt as a result of the sandy soil underneath. The enormous cathedral itself has a number of highlights including the Pisano pulpit, 16th century bronze doors and a highly decorated dome. Next to the cathedral, you can’t miss the stunning Romanesque style Baptistery, the largest in Italy. Dip further into these Romanesque church buildings with a visit to the Cathedral Works Museum where you’ll find a fine collection of sculptures, paintings and decorations. You won’t be disappointed either with a visit to the Nation Museum of Saint Matthew with its collection of 14th and 15th century Pisan sculptures. Make the most of Pisa’s social and cultural scene with a stroll around the Piazzo Garibaldi and the Borgo Stretto areas, packed full of cafes and interesting shops. For fantastic offers on cheap flights and lastminute flights why not take a look at our flights comparison tool here at Directflights.com. You’ll find the cheapest flights are usually found outside of peak times avoiding the busy school holidays. 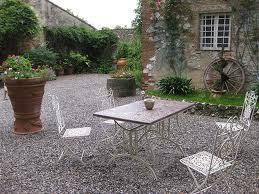 Pisa has a mild Mediterranean climate, with hot summers and cool, wet winters. Winter temperatures range from 50F to 59F, while summer temperatures range between 77F and 86F. Humidity can be high. The best time to visit Pisa is in May, September and October.